Got an email from our director telling all of us to wear staff pass when in the office. This is because the new office is rather big and we don’t know who is who. So need to wear staff pass so that we can identify each other. So who ensure that everyone wear the staff pass? 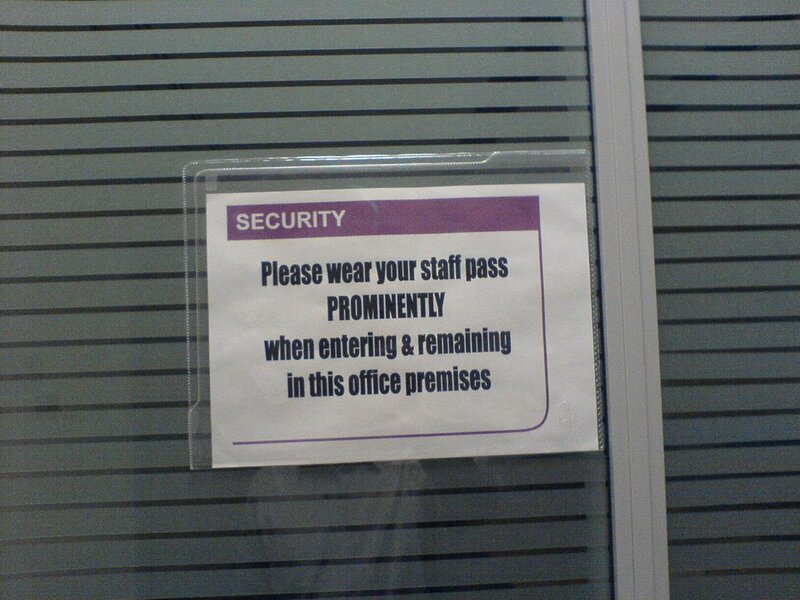 Well, the problem is, nobody checks if anyone wear the pass. So why bother wearing? Maybe we can get the admin to ensure. But if the director didn’t wear the pass, will she ask him to wear it? Think I’ll only start wearing it when someone actually stand at the door and enforce this rule. Else it is as good as not wearing.